With an expected life span of 5 years, the “mega art installation” tours through European cities, showcase new works by 40 of the best street artists worldwide. An exhibition soundtrack album featuring music by Lorne Balfe is released on Oct 21th. Now available on iTunes. 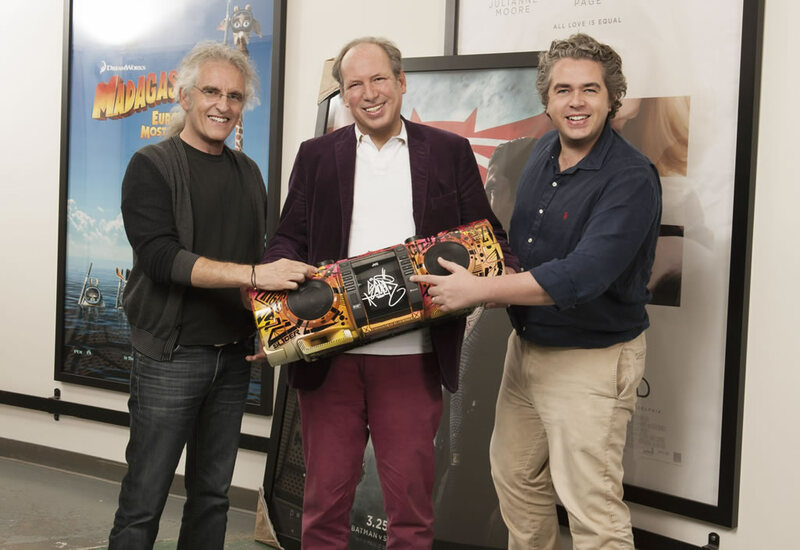 The founders of 14th Street Music, Steve Kofsky, Lorne Balfe took part in a photo shoot with a boombox created from Magic City, the art exhibition in Europe.